There are no late mornings for Samiha Ghaben. 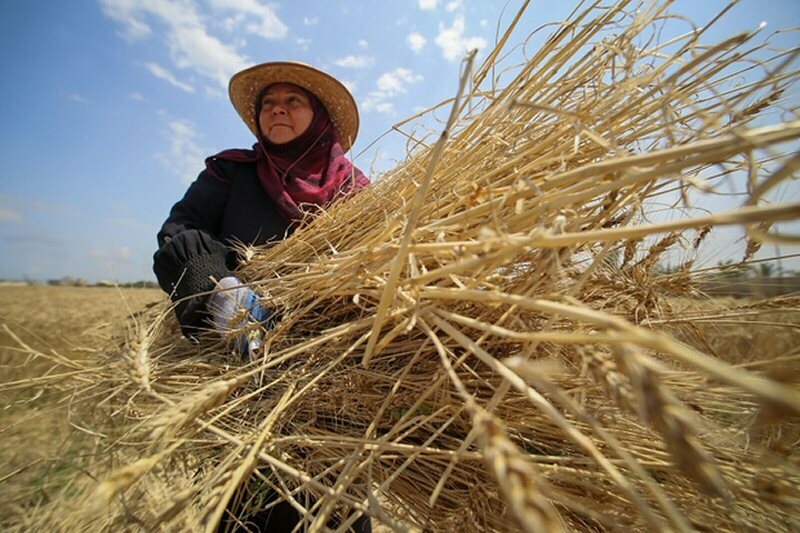 The 45-year-old mother of three wakes up every day at 5am to start work on her farm in the town of Beit Lahiya, northern Gaza. By the time her female assistants arrive at 6am to take on their share of the work, Samiha has already irrigated the seasonal crops – such as lettuce, potatoes and cabbages in winter; and tomatoes, aubergines and pumpkins in summer, as well as various types of berries. On Samiha and Suad’s farm, the women are paid an average of $6 for a seven-hour day. The low wages reflect Gaza’s harsh economy, where incomes can vary depending on the farm’s revenue. However, the small incomes earned pale in comparison to the other risks involved in the work. These women farm in the unilateral “buffer zone”, which is imposed by Israel along its border with Gaza and includes farmland on the Gaza side. The leg fracture completely changed Nima’s life. After undergoing surgery, she spent four months confined to her bed and has been unable to return to work. She is still reliant on painkillers. “I used to work with my husband on our land since 2007. From the beginning of the siege and the deterioration of the economic situation, he could not pay salaries for farmers’ assistance, so I started helping him. The Israeli forces keep threatening us by their shooting in the air,” Nima said. “Now with my injury, I can no longer help my husband,” she added. “Two months ago, I faced financial losses because of the Israeli shootings that targeted water tanks in my farming field. I had to pay $400 to buy two new tanks – 1,500 litres for each – that were required for the strawberry season,” Samiha said. With constant power cuts that can last for up to 20 hours, pumping water from the wells necessary for irrigation and crop production becomes a very difficult task for the farmers. They say that the water which is supplied from Beit Lahiya’s wells reaches homes only three times a week. If this is subject to further cuts, farmers like Samiha struggle to survive. Last month, the Palestinian Authority and Hamas signed a reconciliation deal in Cairo after a 10-year feud. The deal was expected to end a number of punitive measures taken by the Palestinian Authority against Gaza, including reducing electricity payments that left the territory’s residents with only a few hours of power a day. The 34-year-old mother is grateful to her father and her husband for having taught her how to cultivate land. In the 2014 Israeli war against the Gaza Strip, Qarra’s husband Mo’men, 40, sustained injuries during an Israeli air strike near their home. After shrapnel hit his spine and left hand, he was confined to a wheelchair, unable to work in his normal farming job. “I do get afraid that the Israelis will shoot us. Last January, two farmers that I work with were injured from the Israeli shooting,” she said. The Israeli human rights group Gisha reported that the Israeli Ministry of Defence claimed that they spray herbecides inside the Israeli territories, as part of “routine security activity”. “I have been working as a farmer for 15 years. I am sad that I did not go for work for nine days. Hopefully, I can go back again after the herbicides’ effects disappear,” she said. Saad Eddin Ziadeh, head of the advocacy department at the Union of Agricultural Work Committees (UAWC) in Gaza, said that since the Second Intifada in the Palestinian territories, the agricultural sector has been in crisis, mainly because tools and agricultural devices required to develop the agricultural sector have been prevented from entering the Strip, which has been under an Israeli blockade since 2007.